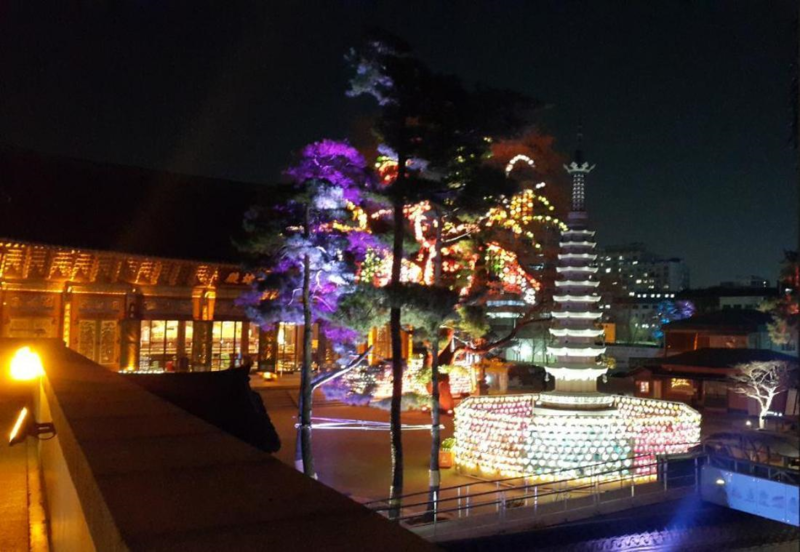 JogyesaA temple where you can experience traditional culture in the middle of the city…. Jogyesa Temple is the representative temple of Korean Buddhism, as it is the chief temple of the largest denomination in Korean Buddhism, the Jogye Order. 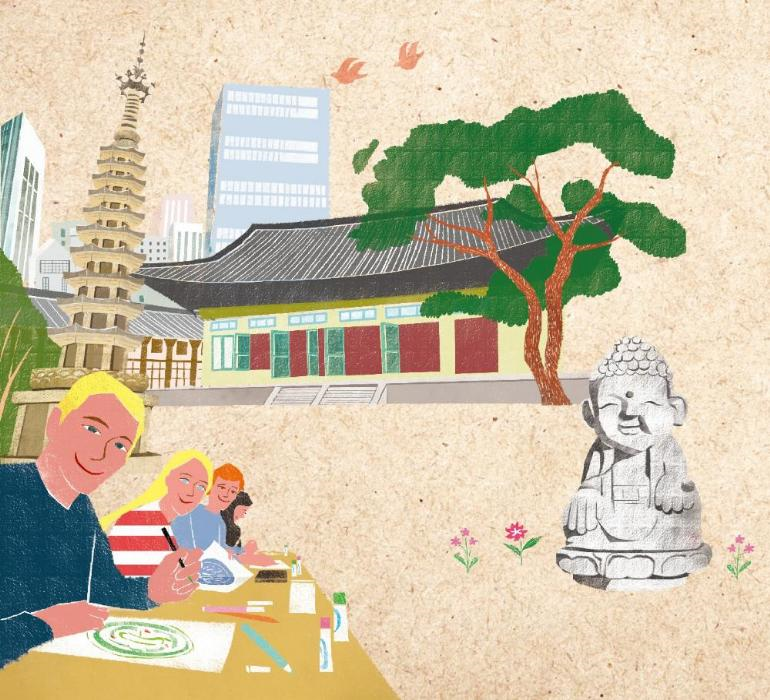 The temple may not have the typical scenery of a Korean traditional temple because it is located in the very heart of the Korean capital, yet you can enjoy the sight of a diversified temple building in a downtown area. 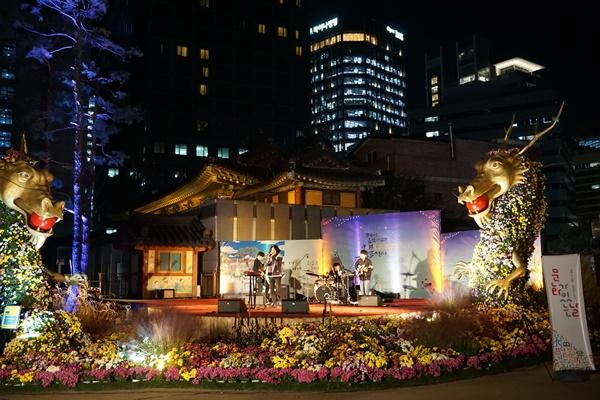 The administrative headquarters of the Jogye Order is established on the temple grounds, also Insadong, Gyeongbok-gung Palace, Changdeok-gung Palace, and other famous sites are close by, comprising a cultural district that is enjoyable for most visitors. 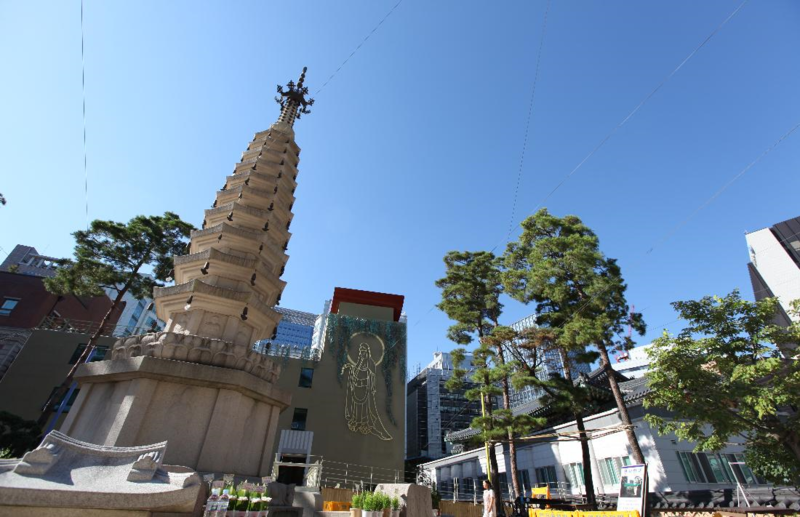 The temple now known as Jogyesa was founded in 1910 on the site of the former Jungdong High School, and was originally called Gakhwangsa. During the period of Japanese occupation, when much of Korean traditional Buddhist heritage was destroyed, Gakhwangsa preserved the original spirit and history of Korean Buddhism. In 1937 Gakhwangsa was moved to its current location, and the next year the name was changed to Taegosa (Great Old Temple), since it had inherited the traditions of Korean Buddhism intact. Taegosa was a temple originally founded in 1341 C.E. by Ven. Taego Bo-U, who helped to revive Korean Buddhism during a period of decline. 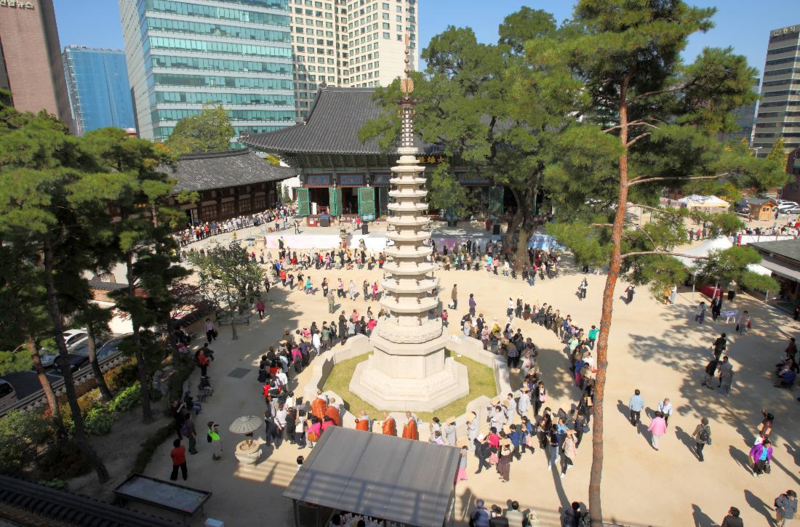 The temple’s name was finally changed to Jogyesa along with the 1954 purification movement, when the name of the Jogye Order was chosen. The temple’s history may seem short when compared to other temples, but due to it's history and symbolic position Korean Buddhism it’s become the representative temple of Korean Buddhism. Jogyesa is a practicing place in the heart of the city, and also provides people with a quiet place to rest. The Daeoongjeong (Main Buddha Hall) was constructed in 1938 of pine wood from Baekdusan Mountain in North Korea, and it’s always filled with the sounds of chanting. 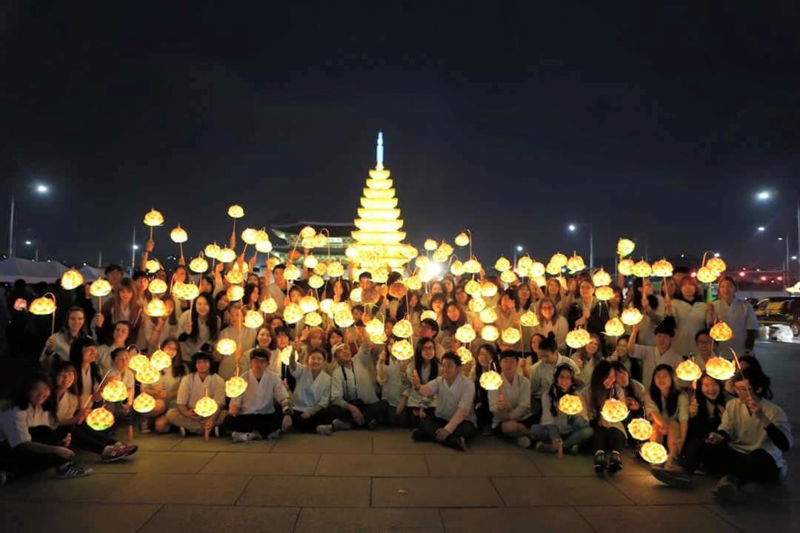 In front of the Buddha Hall is an eight sided, ten story stone Pagoda that was constructed in 2009. This Pagoda houses some genuine relics of Shakyamuni Buddha, which were presented to Korea in 1913 by the Sri Lankan monk Ven. Dalmabara. Next to the Pagoda is a giant metal plaque with an inscription of the Heart Sutra carved into it. In the main temple courtyard there are two trees which are 500 years old, a White Pine and a Chinese Scholar tree. The White Pine tree is about 10 meters high, and gave the nearby area “Su-Song Dong” its name (Song means pine tree in Korean). 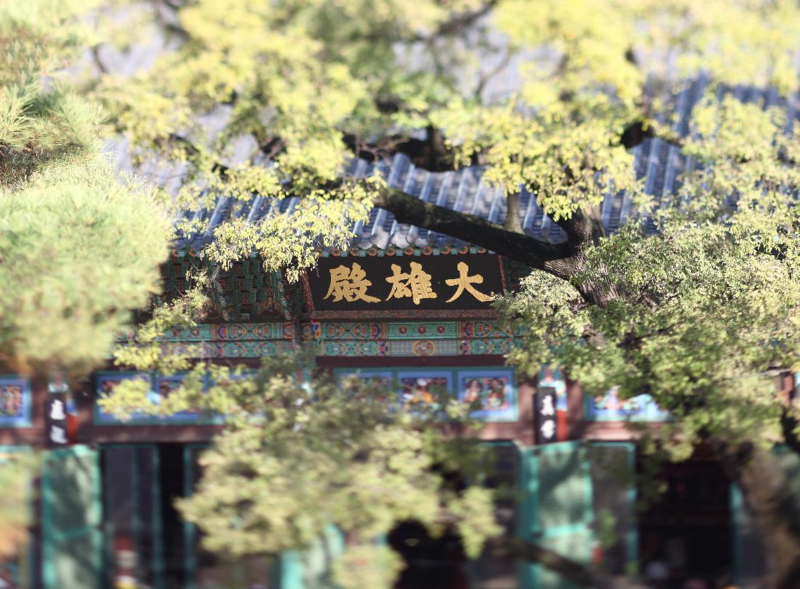 The Chinese Scholar tree, which is 26 meters tall and four meters in circumference, silently stands watch over the temple grounds. But more than anything else, what really can’t be missed at Jogeysa is sound of the giant Dharma Drum and temple bell, filling the air with sound every dusk and dawn. Normally in the downtown area of a great city it would be difficult to have this experience, but you can come here and hear this sound, which resonates from the heavens deep into your soul. 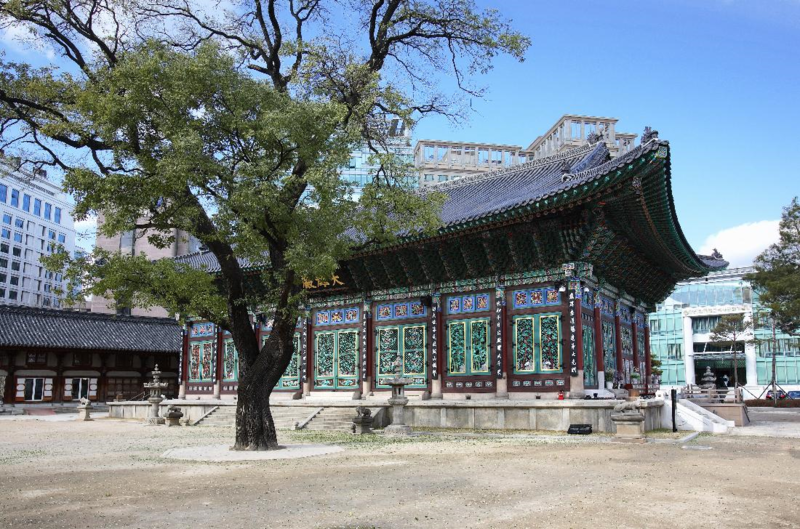 The Korean Buddhist Culture and History Hall, which opened its door in 2005, is also located on the temple grounds. This building not only contains the main offices and headquarters of the Jogye Order, but also a Buddhist museum, performance hall, international conference hall, and other facilities. 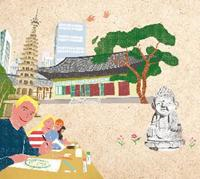 Come to Jogyesa temple and get a taste of monastic life in the city! !